The new PROSTAFF P3 MUZZLELOADER makes 300-yard shots a reality for today’s inline muzzleloader rifles and the hunters using them. Its proprietary BDC 300 reticle can be fully optimized for customized “aiming points” at different yardages using virtually any muzzleloading sabot and Nikon Spot On Ballistic Match Technology. 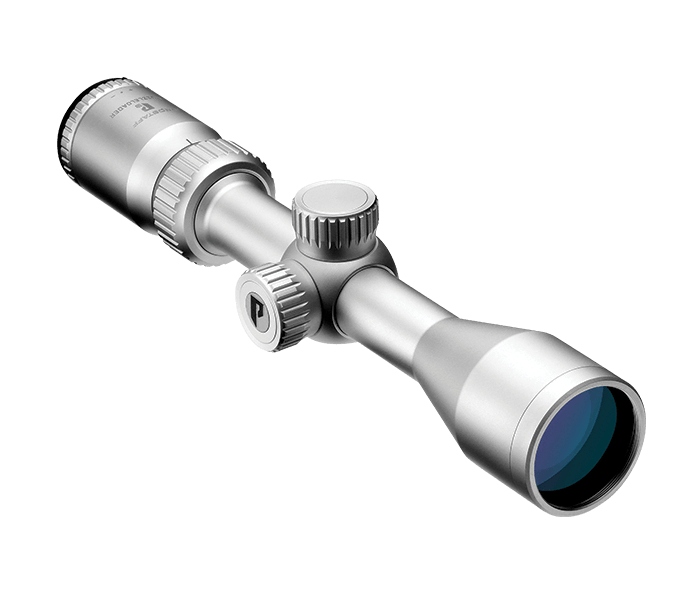 Fully multicoated optics provide a bright, clear sight picture from dawn until dusk. Beefed-up construction features include all-aluminum bodies, turret caps, zoom rings and eyepiece adjustment rings for lasting durability in tough hunting conditions. The BDC 300 reticle is designed for .50 caliber muzzleloaders using a 150-grain Pyrodex charge (pellets or powder) and a 250-grain bullet, allowing the shooter to accurately and effectively shoot out to 300 yards. Reticle adjustments are made in a crisp, positive 1/4 MOA click-stop moves that you can both feel and hear. Turret caps are all-aluminum construction for lasting durability. Spring-loaded windage and elevation knobs can be reset to 'zero' after sighting in for easy reference, when making field adjustments. Windage and elevation turrets are clearly marked for quick adjustments. Spot On allows you to discover all of the exact aiming points on the BDC 300 reticle at various yardages for your specific caliber, ammunition and load. Excludes lost or stolen products and intentionally caused damage, and also excludes Nikon Rangefinders, Reflex Sights, Red Dot Sights, StabilEyes Binoculars & Specialty Binoculars.